Whilst marketers have direct control of their marketing mix formulation and implementation, there are a number of factors in the micro and macro environment that are beyond the marketer’s direct control. You must use academic literature to discuss each of the factors in the micro and macro environment and the way in which they have an influence on the marketing mix. Marketing strategy formulation is the procedure to describe major marketing objectives of the firm. This facilitates formulators to develop a guide. 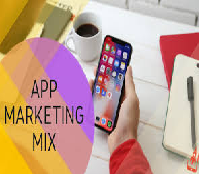 They scrutinize the market and with relevant information, strategy makers determine what marketing approaches will be effective to approach clients and attract them to look for business services.